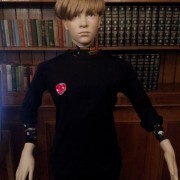 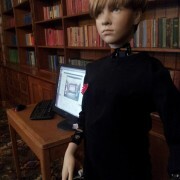 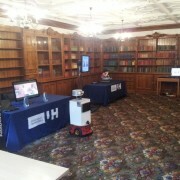 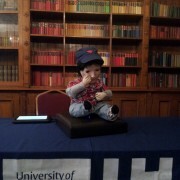 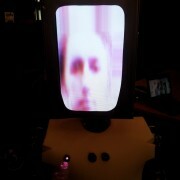 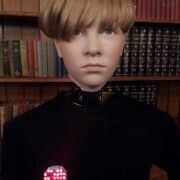 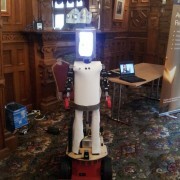 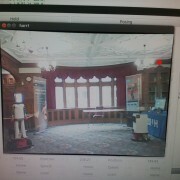 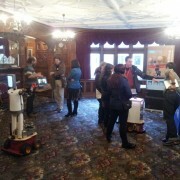 As an additional event to the Intuition and Ingenuity exhibition taking place at Hut 12 in Bletchley Park, HARR1 (Humanoid Art Research Robot 1) was exhibited alongside research robots from the University of Hertfordshire in the Bletchley Park mansion library. 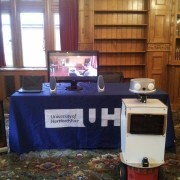 Visitors were invited to “meet” the robots and the researchers and learn about the various projects currently being undertaken at UoH. 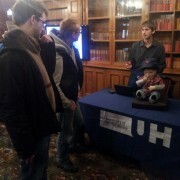 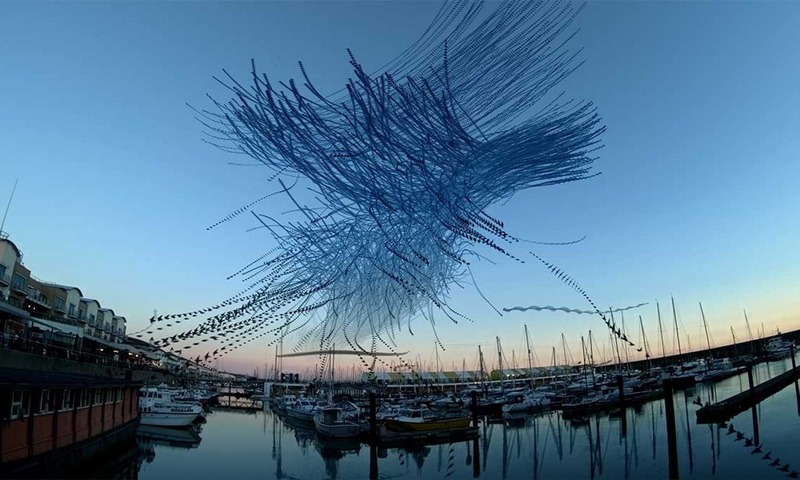 They also encountered HARR1, the ongoing art project by UoH artists in residence Alex May and Anna Dumitriu, who are visiting research fellows with the computer science department. 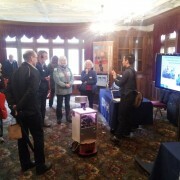 During the Second World War, Bletchley Park was the site of the United Kingdom’s main decryption establishment, the Government Code and Cypher School (GC&CS), where ciphers and codes of several Axis countries were decrypted, most importantly the ciphers generated by the German Enigma and Lorenz machines.